We are all in awe at the first photographed black hole! With the recent picture of the first black hole circulating social media and the world, let's take a look at some of the other amazing scientific discoveries that have happened throughout 2019! Researchers believe this may be a safe way for those who are suffering from respiratory diseases, such as cystic fibrosis, may benefit from an inhalable form of messenger RNA. NASA believes they have found the oldest Earth rock...on the moon! They are dating it around 4 billion years old and have found common earth gems within it. A non-invasive way of treating cancer is becoming more research on. 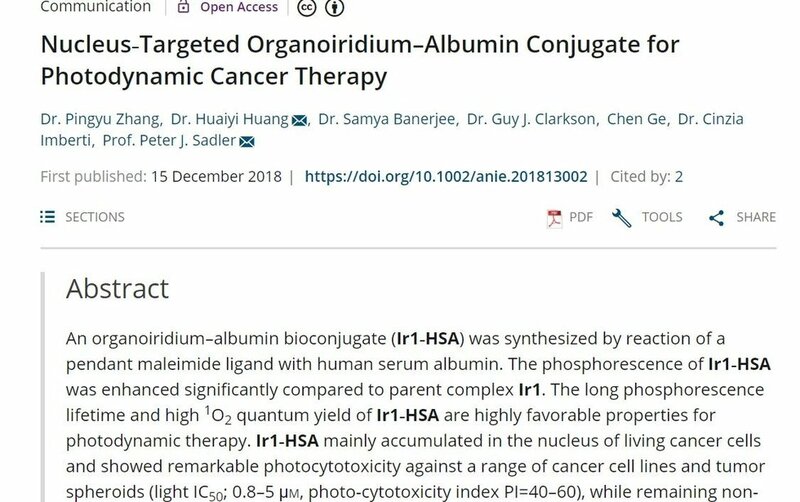 Photodynamic therapy uses light to target cancer cells in the body by converting cellular triplet oxygen into singlet oxygen. 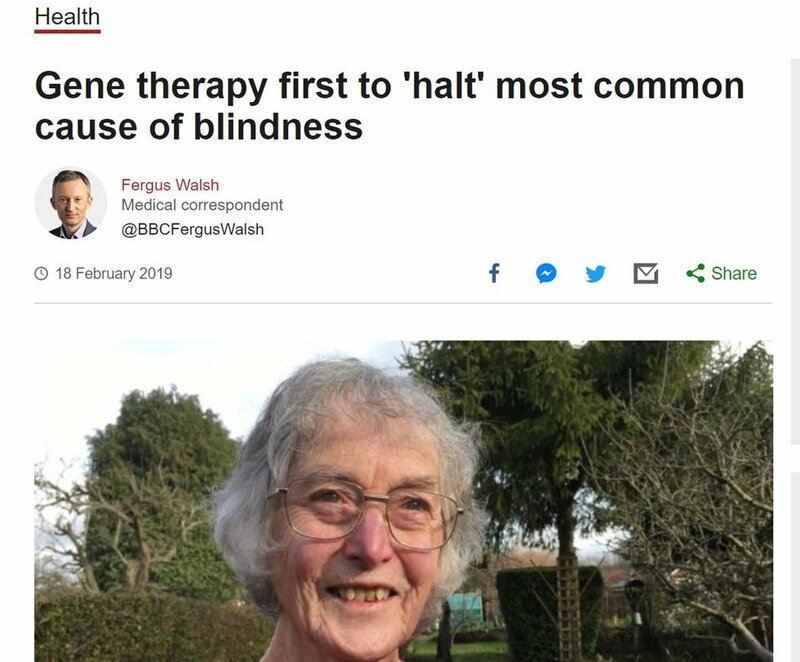 A woman becomes the first person to undergo gene therapy for age-related macular degeneration. The doctors in this study have currently has restored the sight of two people as of mid-February 2019. 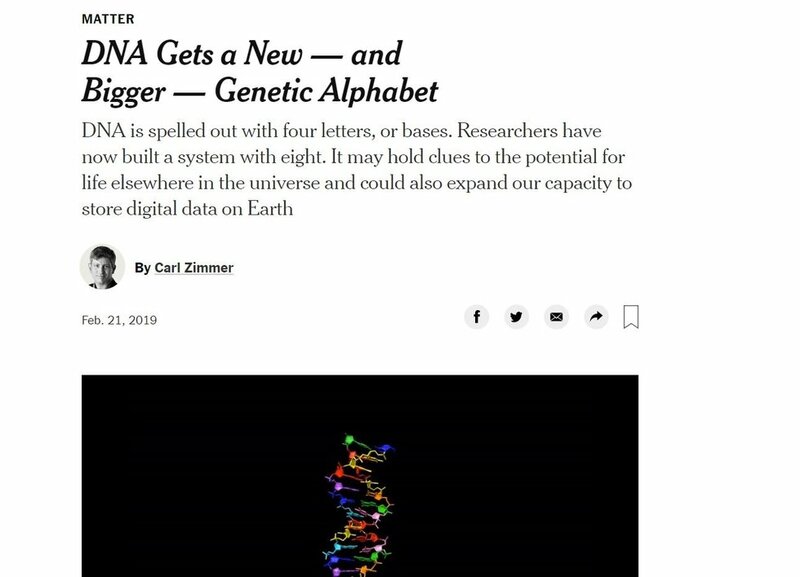 A group of researches have built a new coding for DNA with 8 base pairs (4 natural and 4 unnatural). It is currently being looked into to be used as storage, but the possibilities are endless. We have watched USBs become microchips. What was once a big clunky block for a terabyte has now become something you can insert into your phone. 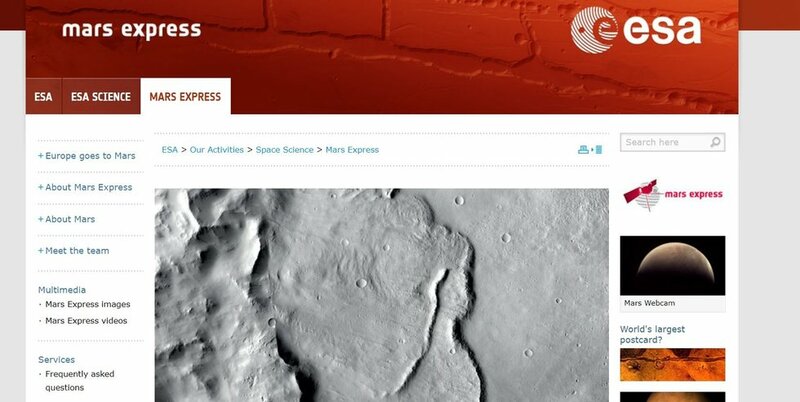 At the end of February, it was released that scientist may have finally found evidence of groundwater on Mars. This may finally help to prove that life may have once existed on Mars. 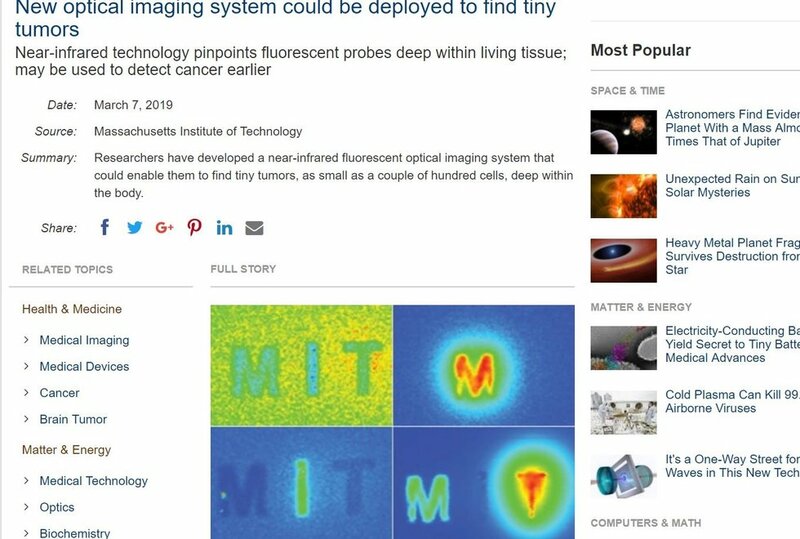 Another discovery by MIT! DOLPHIN is an imaging system that may be able to detect small tumors deep in the body. This may increase the chance of early cancer detection and stop it before it grows larger. 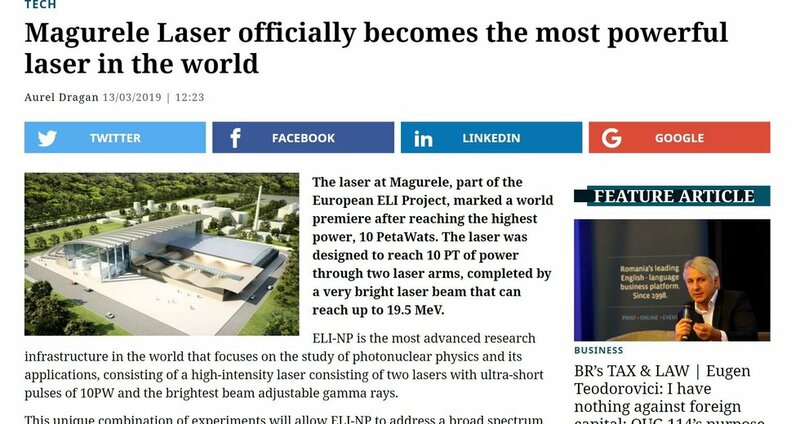 This laser is able to reach 10 petawatts, which is 1/10th of the entire sun's power if concentrated. It gives scientists a new way to look at matter. 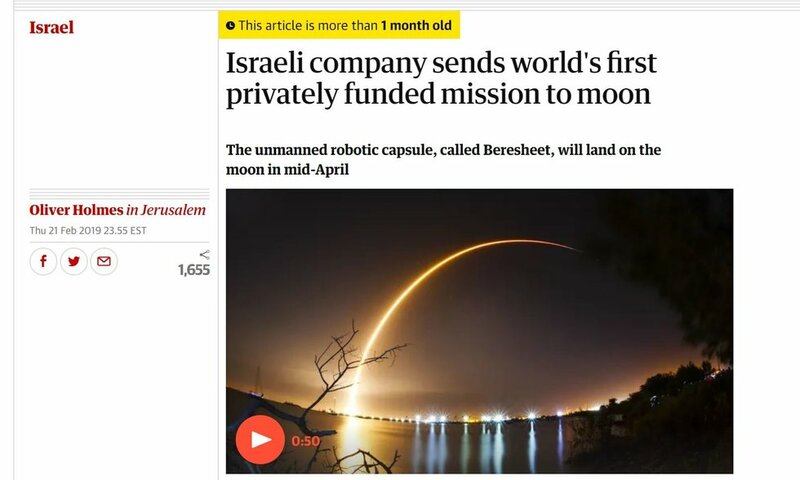 Israel sent and funded a private mission of an unmanned ship to the moon. It should be landing on the Moon in mid-April 2019. 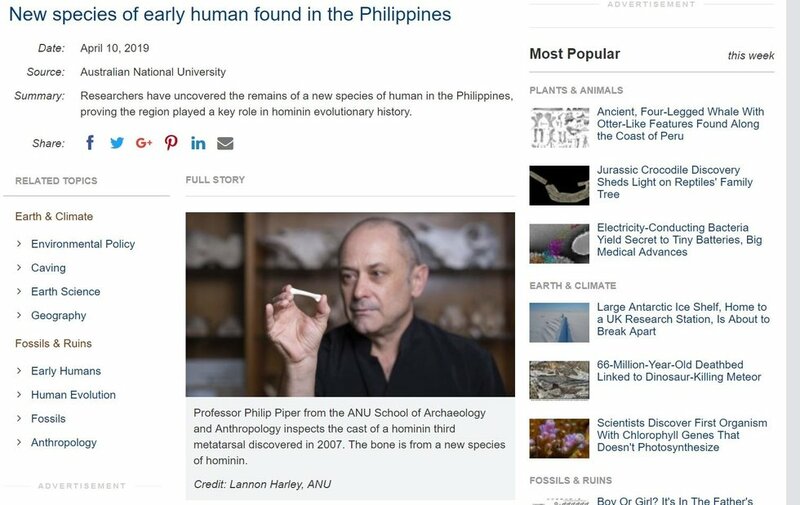 Homo luzonensis were 50,000-year-old fossils found in the caves of the Philippines. This species may help to close even more links in human evolution and species. Just think, this is only 11 of the many scientific events that have happened since the first of the year. We have just reached the middle of April, so who knows what will be found in science next.